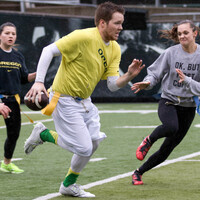 Join Intramural Sports for our Stadium Flag Football tournament on February 16th in Autzen Stadium! We will offer mens, womens and coed divisions. Limited spots so register early! No more teams fees! Each participant can purchase the new IM Membership for unlimited intramural access all term ($10 per term)!